The trick to hens & chicks is well-drained soil and plenty of sunshine. In the right location, they require very, very little maintenance. Just sit back and watch them go! 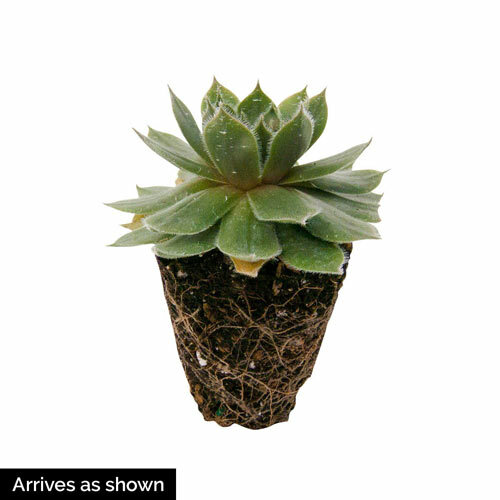 A collection is great, because right now succulent foliage is very much in style, and it looks best in multiples. 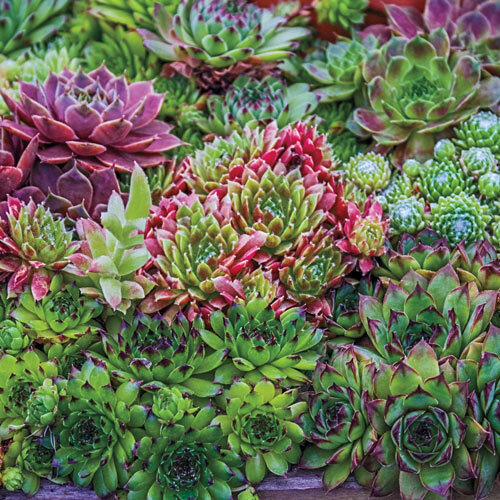 This collection will give you plenty of succulent foliage in a diverse but harmonious combination. Over time, the "hens" give way to even more "chicks". They will create a tightly knit spread, and make a great ground cover for container planting. While the collection spreads, each plant remains compact, growing up to about 4" tall at most. The five varieties you receive are randomly selected for a natural look. Deer tend not to bother these.